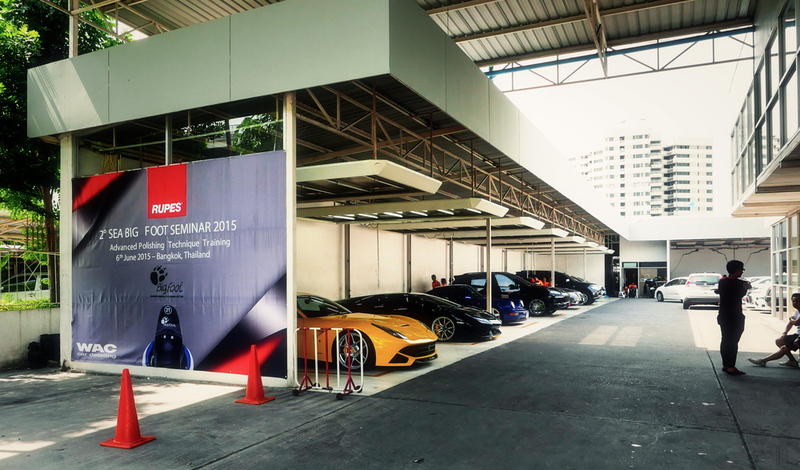 From 5th - 9th of June, Iver from Arctic Coating traveled to Bangkok to attend an event held by Rupes and 1 Degree SEA, hosted by WAC Detailing. The trip was also a promotional trip for Arctic Coating as we are now launching our products throughout Asia. The event was a detailers meet with focus on correct use of the Rupes Bigfoot line as well as more general questions such as correct use of light in order to do most effective work as a detailer, this was all held by Rupes´s R&D Engineer, Marco D’Inca. As for Arctic Coating, we met with several distributors that are going to make our products available in Asia in the very near future. We had nothing but great response on our brand and are very excited to work with the people we met to make Arctic Coating available for asian detailers and car owners. Thank you Bangkok, Rupes, 1 Degree SEA and WAC Detailing, until next time!